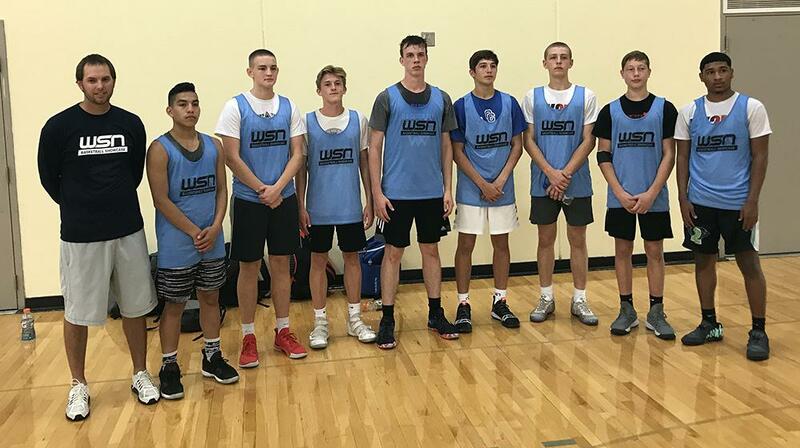 The 2018 WSN Basketball Showcase was held at Kettle Moraine High School on Sunday, September 16th, and it was a great day of hoops all-around. More than 115 athletes competed in the boys portion of the event in the afternoon. For in-depth player analysis, check out Mark Miller's recap of the Showcase here. Players were divided into 14 teams, with two pools of seven teams each. Teams played every other team in their pool once, then were paired with a corresponding team in the other pool based on overall record for the final playoff round. Team 14 coached by B.J. Mertens, an assistant coach at Kettle Moraine, went unbeaten in pool play and knocked off Team 3 in the championship game. Members of Team 14 are: Bryson Funmaker, Wisconsin Dells; Noah Jesertiz, Watertown; Aaron Leverson, Janesville Craig; Dylan Parker, Wauwatosa West; Brandin Podziemski, St. John's NW Military; Franklin Schreurs, St. John's NW Military; Jasin Sinani, Oak Creek; Isaiah Stewart, Madison La Follette. At the conclusion of the event, each coach selected an MVP and Hustle Award winner from their team, which can be found below. More than 15 colleges were in attendance for the event.